Welcome to 2908 N First Avenue! 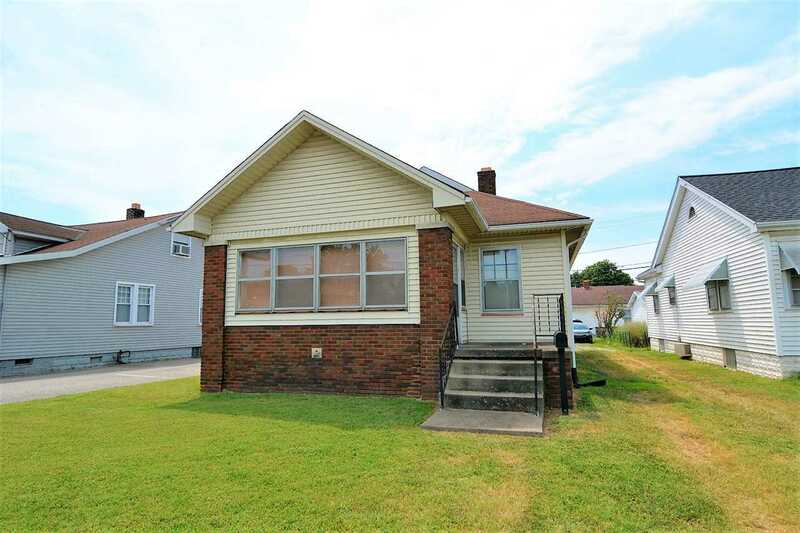 This 2 bedroom home has a full unfinished basement, 2.5 car detached garage and enclosed front porch. This home could be a first time home buyer home, investment property or could be rezoned for a office. Inside you will find a LARGE eat in kitchen with refrigerator and range included. The LIVING ROOM has would laminate flooring and plenty of natural light. There are two bedrooms, one with wood flooring and the other has a washer dryer hook up. There is one full bath on the main level. The basement is unfinished and could be finished for many uses. Outside is detached garage and the seller will repair the garage door. Don't miss out on this great property. SchoolsClick map icons below to view information for schools near 2908 N First Avenue Evansville, IN 47710.